Our veggies are coming up! 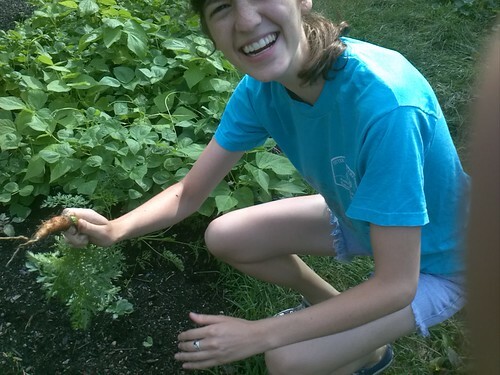 All of our hard work at our yard share garden is starting to pay off with lots of delicious looking vegetables! So this morning we did a little harvesting. Our enormous squash plants are producing some beautiful fruit! 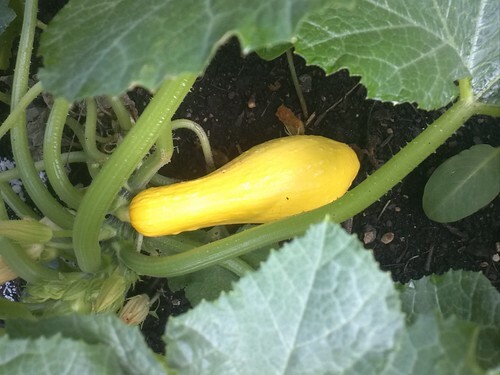 Our squash vines are practically taking over the garden, so it’s good to see they are starting to produce. The weekend storms really helped bulk them up. This guy was half this size on Friday! 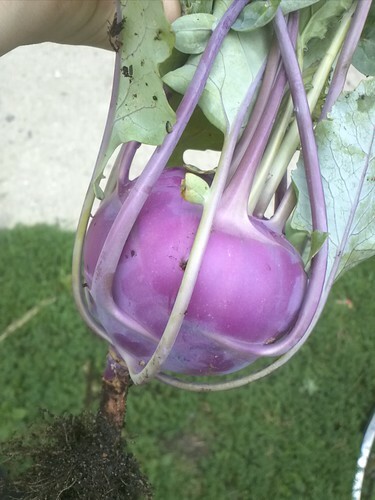 Learn more about kohlrabi here! Now we’ve got to figure out how to eat it. Let us know if you’ve got any good recipes! Erin with our first carrot! Hopefully, the first of many carrots to come this season! Plus you can see our bush beans filling out in the background. 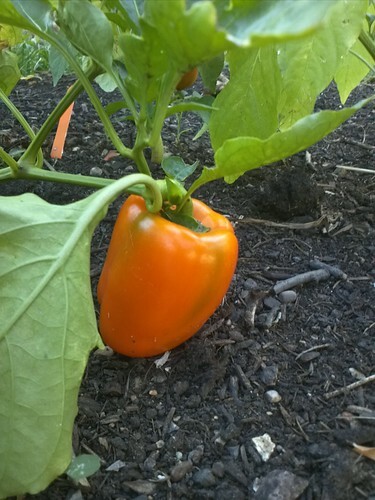 The green bell peppers are starting to mature into beautiful yellows, oranges, and reds! This entry was posted in Yard Share Farm by letsgochicago. Bookmark the permalink.